Bel Air Dental Care provides a full range of general dentistry, cosmetic dentistry, and restorative dentistry services. They were running paid search advertising but had no clear idea about their ROI, if they were getting any increase in leads, or how to make sense of the confusing data they were receiving. Digital Caffeine cut through the clutter to provide clear, actionable PPC management and reporting, website audit and optimization, and most importantly, enough phone calls and clients walking through the door to more than double their practice. AJ Michaels provides plumbing and HVAC services to the local Baltimore area. Their incumbent Paid Search agency was delivery leads at a fairly high cost. They were looking for better results, more intuitive reports, and fresher ideas. Here’s how Digital Caffeine gave a big jolt to their click through and conversion rates and dropped the cost per lead from $100 to $30. Kitchen Saver remodels kitchens in just a few days, instead of months, by refacing cabinets instead of ripping them out and replacing them. This group of franchises’ headquarters is located in Owings Mills, MD. 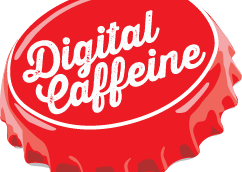 Here’s how Digital Caffeine lowered their cost per lead by 80%. Are you ready to give your marketing and search a buzz?